Following the lecture, join us in the Rose Garden for signature cocktails, appetizers and the Blues Piano tunes of legendary Henry. Gray. Special thanks to Lamar Corporation for their support of this project. Note: This event sold out last year. Reservations highly recommended. 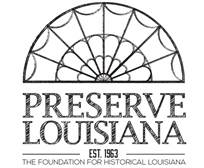 Visit www.preserve-louisiana.org for more information.